Saturday on The Local Take On WCLK I caught up with Stepp Stewart. 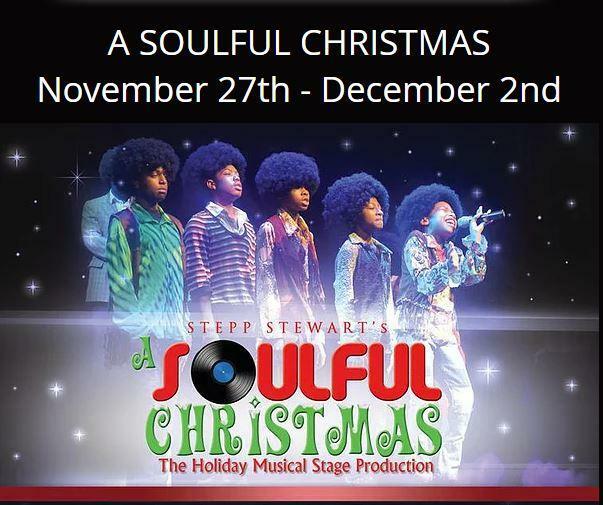 We talked about the 2018 production of Stepp Stewart's A Soulful Christmas. The annual holiday tradition will be performed live at Porter Sanford Performing Arts Center from November 27th - December 2nd. Stepp Stewart shares the production's theme, that takes two youngsters back in time on Christmas Eve. The time travel is necessary to encompass holiday songs from the Cotton Club through the Jackson Five. This local production is a family favorite for all ages. From Eartha Kitt's "Santa Baby" to Mahalia Jackson's "Go Tell It on the Mountain" every African-American Christmas song is celebrated. Annual tryouts take place at Greenbriar Mall every August meaning there are familiar faces on the stage. I ask Stepp about what's coming up and he speaks about his February production The Cotton Club Revue, which will include Stepp on the stage. He also talks his summer program Camp Spotlight for young people, many who end up on the stage. Kiplyn Primus talks with Stepp Stewart on The Local Take on WCLK.